On Wednesday copper futures staged a comeback from six year lows hit earlier in the week as supply disruptions from top producing countries Chile and Peru lift sentiment in beaten down sector. 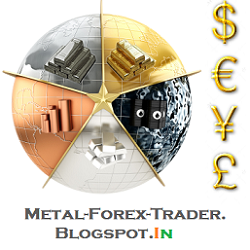 On the Comex market in New York copper for delivery in December surged as much as 4.7% to a session high of $2.3575 or $5,200 a tonne. Today's advance lifted the red metal out of bear territory for 2015, but at a more than 17% drop since December 31 following a 16% retreat in 2014, no-one's celebrating a bottom yet. Today's big jump in heavy volume came after news from top producing country Chile. Output at one of the world's largest copper mines, Collahuasi, will be cut by 30,000 tonnes due to current market conditions. The mine, owned by Anglo American and Glencore produced 470,000 tonnes of copper in 2014, roughly 2% of global output. Earlier this month Glencore announced it's idling mines in Zambia and the DRC that would remove more than 400,000 from the market. Also on Tuesday Peru declared a state of emergency in the area around the Las Bambas mine after clashes between police and protesters left four people dead and 16 seriously injured. 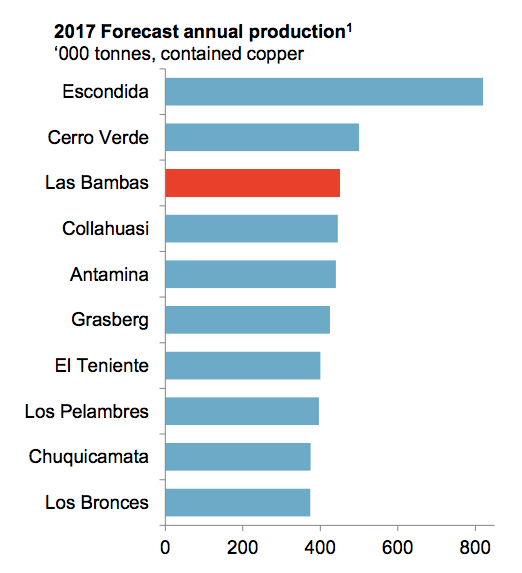 Las Bambas is majority owned by China's Minmetals and the 400,000 tonnes per year mine is set enter production in January next year. Minmetals acquired Las Bambas from Glencore in April last year in a controversial $6 billion deal tied to the Swiss giant's merger with Xstrata. 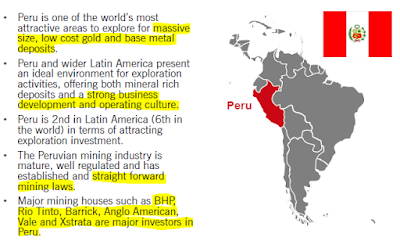 New mines in Peru coming on stream this year and 2016 would double production to 2.8 million tonnes, placing the Peru in second place globally behind Chile. Copper's move higher gave a bit of a lift to beaten down copper stocks with Glencore's (LON:GLEN) jumping 14% as it continues to recover from a more than 30% fall in London in Monday. Anglo American (LON:AAL) shares also also traded up in New York but year to date declines at the diversified miner remain more than 50%. 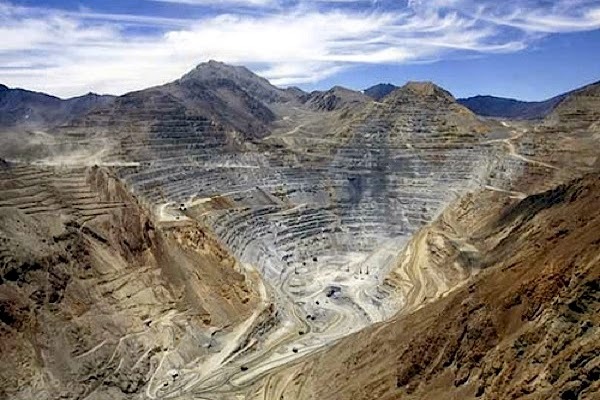 Freeport-McMoRan (NYSE:FCX), which vies with Chile's state-owned Codelco as the world number one copper miner in terms of output, was trading 5% higher in early-afternoon dealings but investors in the the Phoenix Arizona based company are nursing a 59% decline since the start of the year. Freeport announced a month ago it is cutting in half output at is El Abra mine in Chile and idling two US mines. 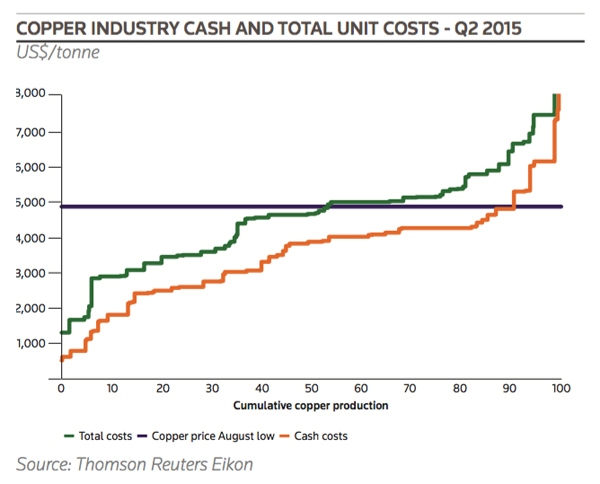 The copper industry has a long history of these supply-side surprises. Typical disruptions associated with adverse weather (Freeport has predicted lower output at the massive Grasberg mine in Indonesia related to El Niño weather patterns), technical problems, power shortages and labour activity coupled with falling grades and dirty concentrates at old mines (especially true in Chile) make forecasting a tough proposition. Add to those factors project deferrals, commissioning delays, slower ramp-ups, mothballing and downsizing of mine plans due to the declining price environment of the last two-three years and it becomes easier to understand why forecasts are all over the place. 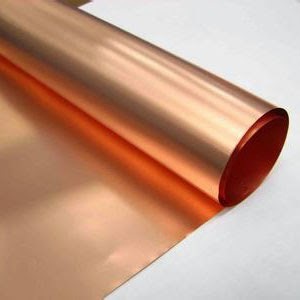 Last week Goldman Sachs predicted the slump in the copper price could last years due to the slowdown in China and that prices will probably drop to $4,800 a metric ton by the end of December and $4,500 at the end of next year as the market suffers from oversupply of 530,000 tonnes next year 2016 rising through 2019 to reach 657,000 tonnes oversupply. On the opposing side independent research house Capital Economics forecasts a strong pickup in the price of copper towards the end the year on the back of lower than expected mine supply growth and output disruptions. Senior commodities economist Caroline Bain says Chile’s recent earthquake highlights these risk. Although output was only interrupted briefly, the earthquake and tsunami that struck the South American nation halted operations at the Los Pelambres and Andina mines, which together produce 600,000 tonnes of copper. Apart from the effects of El Niño (low rainfall is behind the Grasberg output reduction, but on the other side of the ocean the occurrence causes flooding), ongoing strikes and protests, Bain also points to relatively low warehouse inventories which in the case of LME stocks represent only 2–3 weeks of annual consumption for the bullish case. The house view at Capital Economics is for the price of copper to reach US$6,250 per tonne by end-year, rising to $7,000 by end-2016. Copper led losses in industrial metals, falling by 2% while zinc dropped to a five-year low, on uncertain demand from China. The plunge also sent the shares in some of the world’s largest mining companies tumbling while hurting copper-dependent economies from Chile to Zambia. 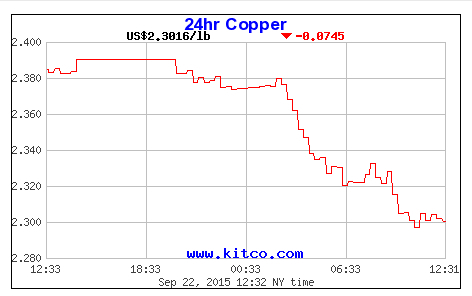 Freeport-McMoRan (NYSE:FCX), the world's largest publicly traded copper producer, fell as much as 4% at $10.11. Rival BHP Billiton (NYSE:BHP) was trading 4.3% to $32.68 at noon, while Southern Copper (NYSE:SCCO) was down around 2.3%. In Canada, First Quantum Minerals (TSE:FM) and Teck Resources (TSE:TCK.B) sank at least 9% as copper for delivery in three months dropped to a two-week low. While Lundin Mining (TSE:LUN) followed closely, losing almost 7% of its stock value at noon ET. Copper and other metals have suffered from a slowing Chinese economy and a shift in growth towards sectors that require less commodity imports. So far, copper prices have failed to react significantly to news of supply disruptions in Zambia and Chile, remaining more responsive to news from China, the world’s largest consumer, accounting for about 45% of world demand last year. 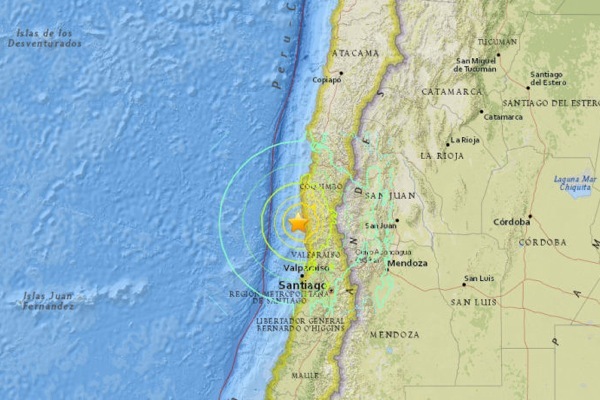 Mining operations were suspended at two major copper mines in Chile after a magnitude 8.3 earthquake struck off the coast of the country on Wednesday, killing at least five people and slamming powerful waves into coastal towns. The closure of the mines, operated by Codelco and Antofagasta (LON:ANTO), pushed copper prices on the London Metal Exchange to two-month highs in early Asian trading as worries about supply disruptions offset lingering concerns about demand from China amid copper's longest rout in years. Operations were cancelled for safety reasons as several aftershocks, including one at magnitude-7 and four above 6, continue to shake the region after the initial earthquake. The companies said no damages have been registered at the mines, but operations were cancelled for safety reasons as several aftershocks, including one at magnitude-7 and four above 6, continue to shake the region after the initial earthquake. By mid-morning Eastern Time, prices had come back down to around $5,340 as most miners with operations in Chile updated their status saying that workers were safe and mines were undamaged. 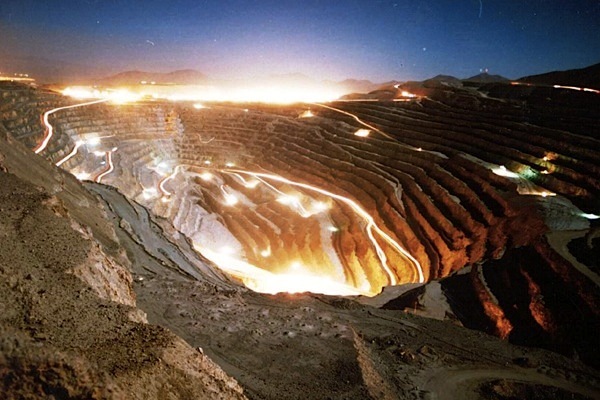 Codelco suspended open-pit operations at its Andina mine and evacuated workers at its smaller Las Ventanas refining and smelting division, as well as at the two northern ports of Mejillones and Barquito, as a precautionary measure. By Thursday morning, the state-owned company said (in Spanish) that Ventanas was operating as usual, while Andina remains halted until inspections have conclude, which is expected to happen later today. London-listed Antofagasta said its flagship Los Pelambres mine, which produced over 400,000 tonnes of copper last year, will remain closed until further notice, though there were no reports of damage to personnel or equipment. Chile, the world's top copper producer, is one of the most earthquake-prone nations in the world. It was hit by an 8.8-magnitude quake in 2010 and in 1960 recorded the largest ever on Earth, according to the U.S. Geological Survey. Earlier this year unusual heavy rains caused flooding and forced producers to shut many minesin Chile's copper-rich north. In New York trade on Friday copper for delivery in December soared nearly 6% at the open, jumping to a seven-week high following the announcement of steep production cuts by Glencore and a surge in Chinese concentrate imports. Copper changed hands for $2.448 per pound or around $5,390 a tonne, up 5.9% from yesterday's close of $2.312. The red metal has recovered strongly from six-year lows struck late August, but remains down 14% year to date after a 16% fall in 2014. The metal peaked in February 2011 at $4.58 a pound or more than $10,000 a tonne. Glencore (LON:GLEN), the world's number four producer of the metal, on Monday announced plans to suspend production at its copper mines in the Democratic Republic of Congo and Zambia, in a move that it says will take 400,000 tonnes out of the market. 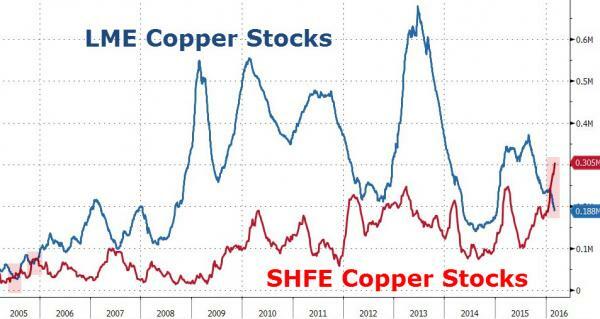 "It just goes to show how far we have gone down for the industry to withstand further falls in the commodity prices"
Some 40% of the Swiss commodities trader's earnings come from copper. Glencore's move comes on the heels of cutbacks from US-based Freeport-McMoRan (NYSE:FCX) which vies with Chile's state-owned Codelco as the world number one copper miner in terms of output. 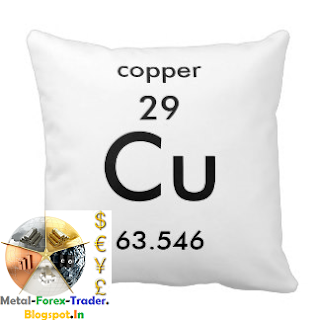 Copper was also boosted after trade data from top consumer China showed a huge improvement in country's imports of copper concentrate. While imports of refined and semi-finished copper products were flat in August imports of concentrate surged nearly 20% from a year ago and 18.6% from the previous month. Year to date concentrate imports are up 12% to 8.12 million tonnes, while refined copper imports are down 8%. "This is close to the bottom of the cycle for commodities; it certainly feels like that from my perspective, signs today are indicative of that," Gait said." Others were not so encouraging with Philip Petursson, managing director for capital markets and strategy at Manulife Asset Management telling Reuters that "at this point I would say you'd still want to be cautious on the miners as well as the energy sector:"
"I think the pop today is really in relation to China and expectations of continued stimulus. How much that helps to prop up the metals is subject to pretty wide debate. We're still in a supply glut situation." The advance in the copper price led to widespread share price gains among copper mining majors with Glencore jumping for a second day for a 12% rally since Monday's open in London. Freeport investors returning from a long weekend in North America chased the counter 6.4% higher in afternoon dealings with more than 31 million shares in the owner of the iconic Grasberg mine exchanging hands. BHP Billiton (NYSE:BHP) also recovered with shares in the world's number one miner adding 4.7% in New York. The Melbourne-based company which relies on copper for around a fifth of its earnings is now worth $93 billion. The world's second largest miner based on revenue Rio Tinto (NYSE:RIO) which is less dependent on copper than Glencore or BHP gained 5.1% in New York recovering from steep falls on Friday. The Anglo-Australian giant is worth $65 billion in New York. The world's fifth largest miner Anglo American (LON:AAL) was the best performer on the day, surging nearly 7.6% in New York. Canada's Teck Resources (TSX:TCK) also made huge strides with shares in the coal and base metal company adding 8.3%. Southern Copper Corp (NYSE:SCCO) increased 5.5% in value while investors in fellow South American copper producer Antofagasta's (LON:ANTO) celebrated a 9.9% surge in New York. Mining and commodities giant Glencore (LON:GLEN), which in recent weeks become the poster child of how hard companies have been hit by a brutal sell-off in raw materials, is fighting back. The Swiss-based company unveiled Monday a $10 billion package of debt-reduction measures, which include issuing up to $2.5bn of new shares, cutting dividends, selling assets and looking to offload a stake in its agricultural business to a third party. Glencore also said it plans to suspend production at its copper mines in the Democratic Republic of Congo and Zambia, in a move that it says will take 400,000 tonnes out of the market and potentially provide a boost to metals prices. Investors reacted positively to the news, sending the company’s shares up about 12% before paring gains a touch to trade 6.5% higher at about 131 pence at 12:40 pm GMT. At the same time, the announcement of a upcoming stoppage at Glencore’ Mopani operation in Zambia and the Katanga facility in the DRC had an immediate effect on copper prices, with the red metal climbing more than 1% to $5,192 a tonne on the London Metal Exchange. Shanghai Futures Exchange copper rose 0.8% to 39,370 yuan ($6,183) a tonne. Glencore CEO Ivan Glasenberg said in a statement that the measures announced today wouldn’t affect the firm’s core business activities and overall franchise value. Bank of America Merrill Lynch upgraded the company's rating to neutral following the plan's unveiling. "Unlike other management teams in the sector, Glencore has acknowledged its debt problem and is taking steps to address it," BoAML said in an e-mailed note. "We think the plan goes some way to addressing some of our concerns on Glencore's financing, we do still have a question mark on Chinese demand and hence (only) an upgrade to Neutral. Even after the reductions, the company will still be quite highly geared," the note said. Glencore swung to a net loss of $676 million in its first half of the year from a profit of $1.7 billion in the same period last year due to write downs in the value of its mines and oil fields, which have been hit by a price slump. The company is now worth a fraction of what it was when it made its first attempt a year ago at a "merger of equals" with Rio Tinto (LON:RIO), which is valued at $92.6 billion. A week-long strike by contract workers at world’s No.1 copper producer Codelco spread Tuesday to Chuquicamata, the Chilean company’s second largest mine, forcing the miner to halt operations. Protesters began demonstrations on July 21 in demand for better pay and working conditions, blocking roads into some of the country's largest copper mines. Things took a turn for the worse Friday, when a worker was shot dead by police near Codelco's smaller Salvador mine in northern Chile. Strikers then proceeded to seize control of the operation over the weekend and it remains occupied by the protesters, Cooperatival.cl reported(in Spanish). Striking workers want Codelco to join their negotiations with the mining company's contractors and subcontractors, but the state-owned miner has so far declined. Chuquicamata, which is located 1,650 km north of the Chilean capital of Santiago, is Codelco’s main division, accounting for over 40% of the miner’s total production in 2014. The copper giant is in the midst of executing a $25 billion investment plan aimed to expand its decades-old flagship mines and search for new high-grade deposits. Copper, which accounts for 60% of Chile's exports and 15% of gross domestic product, has lost 11% of its value during the past year. 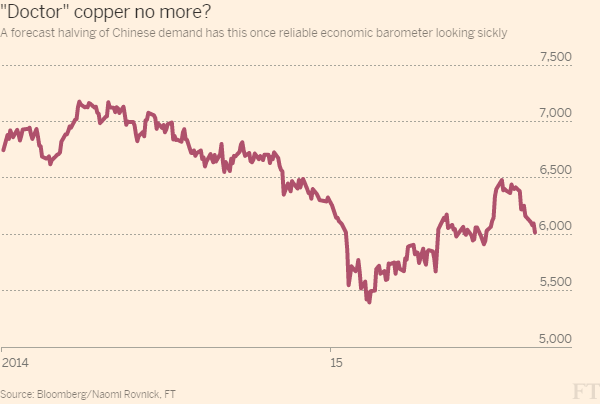 Only yesterday it hit a six-year low as slowing demand in China increased concerns over a glut.